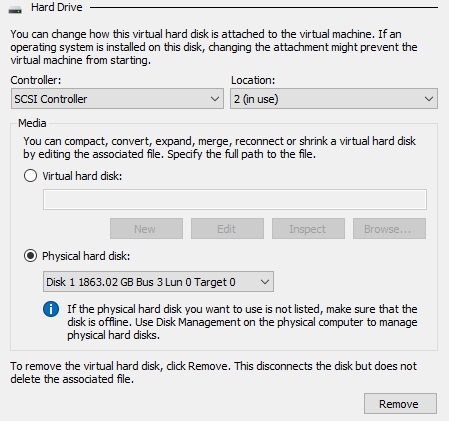 runas /user:[ServerName]\[UserName] /netonly "mmc virtmgmt.msc"
This then allowed me to add the server in Hyper-V Manager using the IP Address. Find the one that is the Hard Drive you wish to make offline. In this case it is Toshiba Ext, Volume 4. I like the make sure it is actually selected as I don't want to down my server. 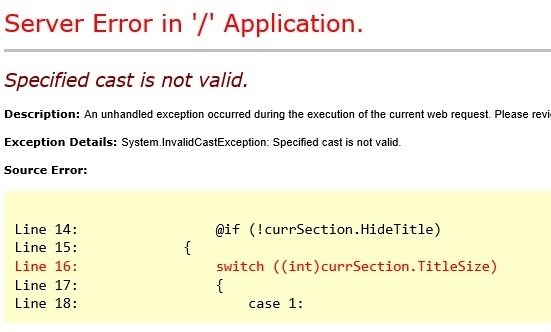 Exception Details: System.InvalidCastException: Specified cast is not valid. Open umbracoSettings.config file usual in the Config directory of Umbraco. This is odd as the start kit works fine in version 7.5 of Umbraco. change the value from ="PureLive" to ="Dll" e.g. 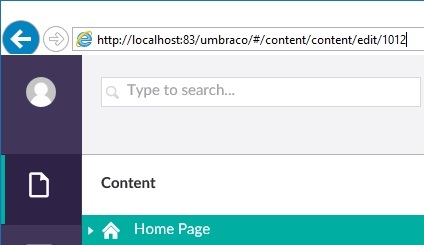 I needed to redirect 404 not found errors to the default home page in Umbraco. Usually in Asp.Net you can just set the web.config and set an error statuscode to do something. However in Umbraco it uses its own internal 404 page which has a neater way of redirecting to a page you specify. First login to your Umbraco site. Go the page you want the 404 to be redirected to, here I am using my Home Page (default page). Notice the URL and the last 4 digits (1012). Remember this bit. 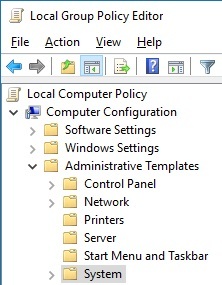 Open the UmbracoSettings.config - this is usually in the Umbraco Config directory. Find the <errors> section and specifically <error404> e.g. Then enter the URL ID as seen above and now any 404's will be redirected to your home page (but the url will still show as the incorrect path). But I didn't have these installed as a fairly new server build. And thankfully .Net 3.5 will now be installed. Note- it will do a reboot after installation. The following maybe needed, but it was not for me. Then try installing SharePoint 2016 again and all should be well. I use Skype for my calls and so download and install the application on my PCs. However on Windows 10 it pre-installs Skype Preview which I found takes over the normal Skype application and therefore doesn't allow me to send/receive calls. 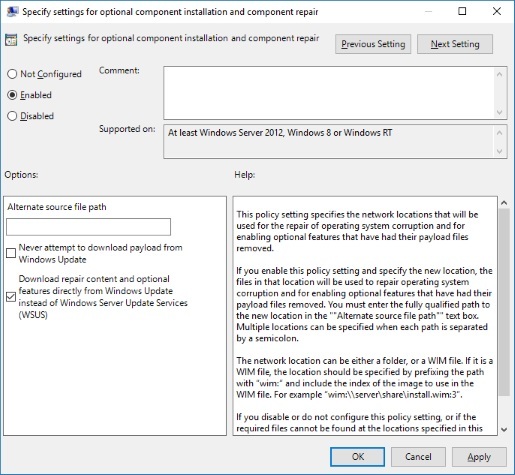 Simplest solution I found was to uninstall Skype Preview using Powershell. Enter in some details e.g. Create an output file – click finish. Open the Text File that you created above and you will have a load of characters – this is the key. In Go Daddy purchase the SSL Certificate e.g. *.MyCompany.com or click Manage if you already have one. Then wait a few minutes whilst it is processed. Once Complete click the Download button and save the zip file. But the most important bit is to reboot the server otherwise the Certificate will not work. If you find that your Certificate seems to disappear when you “Complete Certificate Request…” this is because your certificate hasn’t been correctly keyed for the server so please re-do Step 2 above.